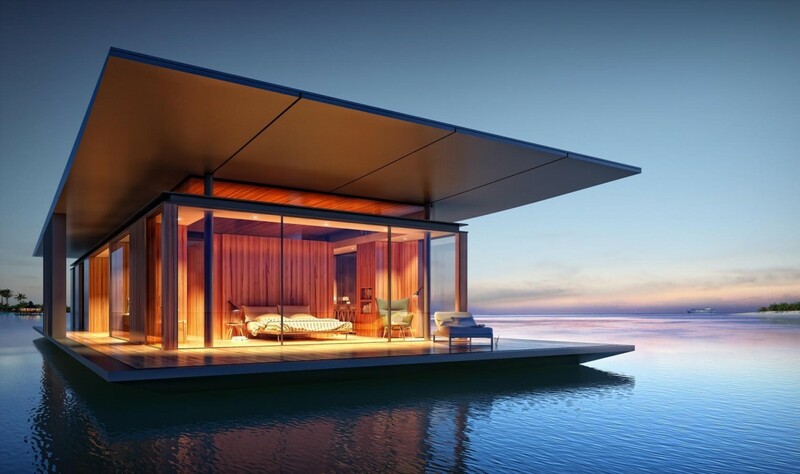 This is an amazing floating house! It was designed by the architect Dymitr Malcew for the French developer H2ORIZON. The house can easily be docked to a marina or a pier and can in theory be transported anywhere. The house has glass walls all around which provide stunning views of the water and shore around. This is a quite a unique and remarkable floating house and I wouldn't mind living it for a while.